Obtaining the job of Miss North Carolina is no easy task, but Savannah Culbreth and Maya Bryant believe they are up for the challenge. Once a year, 49 women gather in Greensboro to prepare themselves for the annual Miss North Carolina competition in June. For Culbreth, Miss Durham 2018, this is her first year competing for the title. Culbreth is a first-year at UNC School of the Arts and is pursuing a bachelor’s degree in music with a concentration in vocal performance. She hopes to someday grace the stages of Broadway and perform at the Metropolitan Opera. Culbreth is originally from Eastover, North Carolina, and was crowned Miss Durham on March 17, 2018. She says that she has not become fully acquainted with Durham, but hopes city local Maya Bryant will show her around the Bull City. 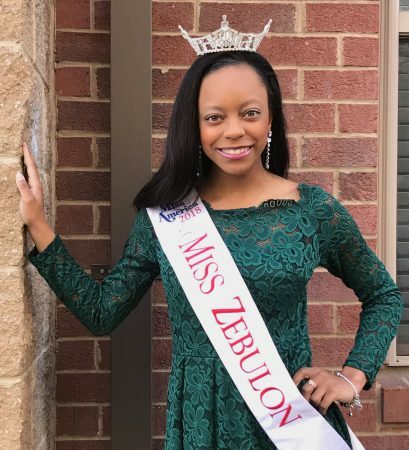 Bryant, Miss Zebulon 2018, is a Durham native who prides herself on her involvement in the communities of Durham. Bryant currently works at the K&L Gates law firm in Morrisville while also working toward her master’s degree online through Liberty University. She is a graduate of William Peace University and has a bachelor’s degree in communication with a minor in theater. The Miss America organization is giving Bryant and Culbreth, and thousands of other women, the opportunity to graduate college completely debt-free. Culbreth believes that there is more to the Miss America organization than gowns and swimsuits. 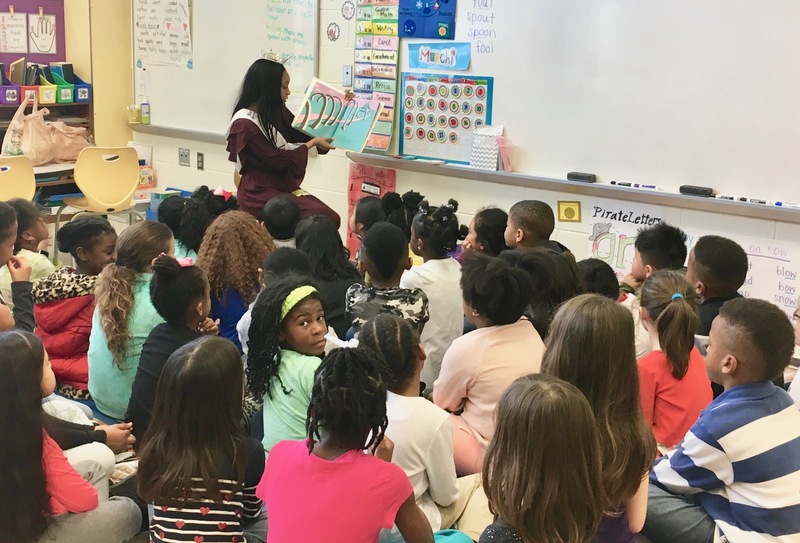 Local state pageants like Miss North Carolina are giving college students and young professionals the opportunity to make an impact on a large scale. The current Miss North Carolina, Victoria Huggins, has made almost 300 appearances since winning her title in June 2017. She has visited schools, churches, community meetings and the General Assembly in order to promote her personal platform, The Alz Project: Alzheimer’s Disease Awareness. Miss North Carolina is also given the job of promoting Children’s Miracle Network Hospitals and the Miss North Carolina Educational Scholarship Fund. Bryant wants people to know that Miss America is still relevant in our society today. She believes that the organization is creating a community of people who inspire each other to never give up on any dream. Every local titleholder is required to choose an issue they feel passionately about to become their platform for the year. These one-year platforms become lifelong missions for the contestants in the Miss America organization. Culbreth believes that it is vital for schools to implement programs to help school counselors and teachers recognize the signs of verbal abuse victims. It is her goal to have these training programs implemented in every school across North Carolina. A passion for your platform is vital to spreading awareness. Both Bryant and Culbreth drew from life experience when it came time to choose their personal platforms. Bryant’s platform is Arts at the Core: Arts Integration. She has partnered with the Towne Players of Garner and is working to raise money for local art programs. While Bryant is from Durham, she is the first titleholder for Miss Zebulon in 50 years. She is currently planning Zebulon’s very first Celebration of the Arts Festival. Women like Bryant and Culbreth are using their voices around the state to promote scholastic achievement and extracurricular involvement in programs like Miss America. It is the goal of Miss America that this job is more than a title; it is a movement. The Miss America Organization is empowering young women to reach for every dream, no matter how big. 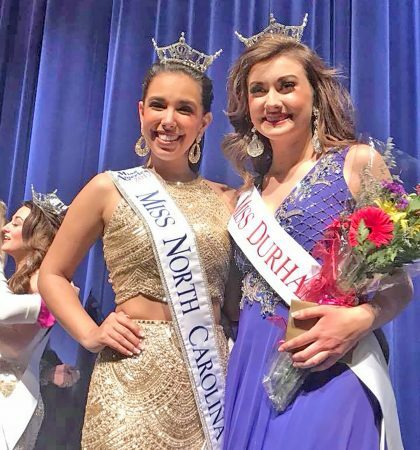 You can follow Savannah Culbreth (MissDurham_NC) and Maya Bryant (MissZebulon_NC) on Instagram to continue following their journeys to Miss North Carolina.